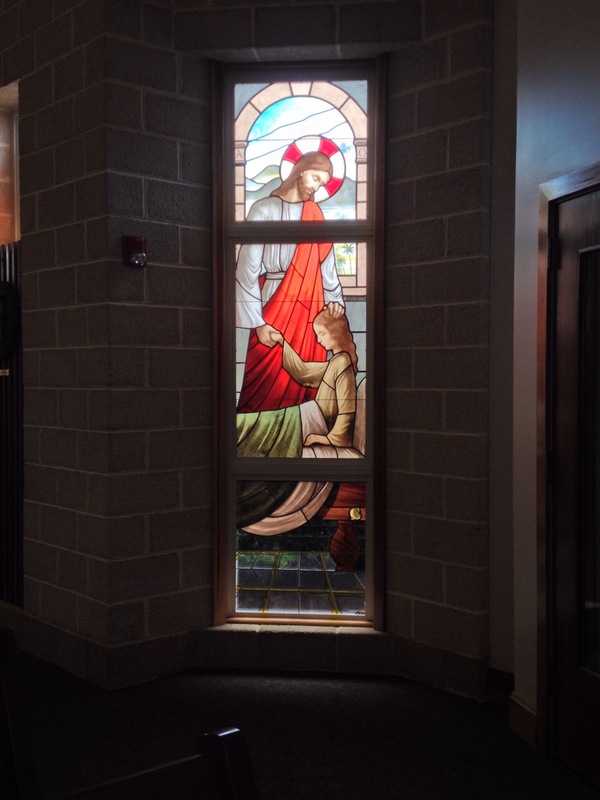 About three years ago, the first of our parish’s stained glass windows were installed. Over the course of about two years, our parish gradually transformed from a blank space with plain glass windows and almost no art in the sanctuary to a church that looks Catholic from the moment you walk in to the moment you leave for home again. We’ve added saints — from Saint Peter to Pope Saint John Paul II — and windows depicting the Luminous and Glorious Mysteries of the Rosary. We’ve added beautiful carvings of Our Lady and Saint Joseph, as well as a choir of angels that hangs behind our choir. There’s even a beautiful carving of the Holy Spirit in the form of a dove that is at the back of the church, above the Baptismal font. And then we have four tall windows that depict four different stories from the Gospels. 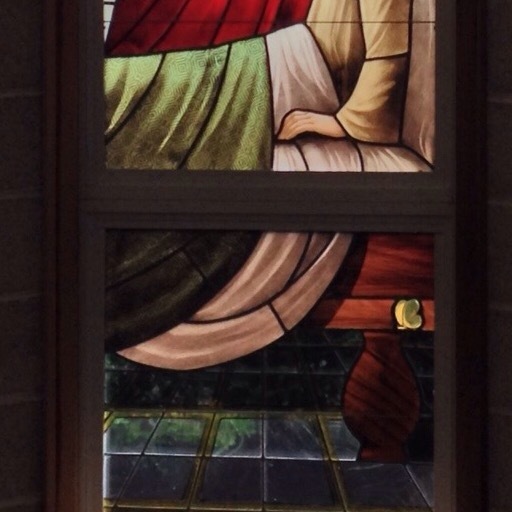 One of these is a beautiful stained glass window in our that depicts Jesus raising the daughter of Jarius. It’s positioned at the end of the Stations of the Cross and next to our chapel where the tabernacle resides. From my usual seat at Mass, I can look to the left and see it. The scene is beautiful: Jesus’ face has a tender look on it, and His hand rests on the girl’s head, as if He has just begun to stroke her hair to calm her. She grasps His hand as He pulls her up to a sitting position. Her face looks as if she still feels a tad weak, which makes holding Christ’s hand sensible. Recall that Jesus’ words when he raised her from the dead were, “Get her something to eat.” Perhaps the little girl had been so sick that she hadn’t eaten much for days, only managing little sips of water when she was conscious. After all that, she needed nourishment. Have you ever wondered what became of Jaruis’ daughter? We don’t even know her name from the Gospel; we only know that she was dead and Jesus raised her up. He gave her parents a great gift with this action, but he also gave her a great gift. What did she do with her life? Did Jarius and his family become followers of Jesus, even if it was in secret at first? Were they among the 3,000 who were baptized on Pentecost? Even at her young age, I imagine that she lived her life differently — that her encounter with the Lord left her changed. I think a lot about the unnamed girl. I think about her second chance at life, and how God gives me second chances all the time. I, too, go to Him when I am sick with sin. There are times when I wait so long that I feel like I have to crawl into the confessional to meet with my Lord, to whisper my failings to Him and have him reach out to me and take my hand. He helps me stand again with His strength, and when my Confession is over, He raises my soul from the dead again. The words of absolution are like having Christ stroke my hair and allay my fears. “It’s okay now. I forgive you. I love you, and I’m letting you start again,” the Lord tells me. 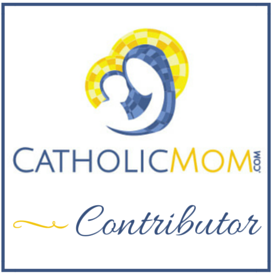 With gratitude, I leave to do my penance and walk away from the church feeling reborn. It’s in that moment that I recall the tiny butterfly in the corner of the stained glass window. The butterfly lives a part of it’s life as a caterpillar — an animal that is not considered particularly attractive. Eventually, the butterfly wil go to sleep as a caterpillar, but he wakes up transformed: a new creature. He, like Jarius’ daughter, never lives quite the same way again. Walking out of Confession, I’m also trasnformed: a new creature through the power of Jesus Christ and the ministry of His Church. I feel called to live my life differently than before. I’m called to never be the same again. I’m the daughter of Jarius, and I’m that little butterfly, too.